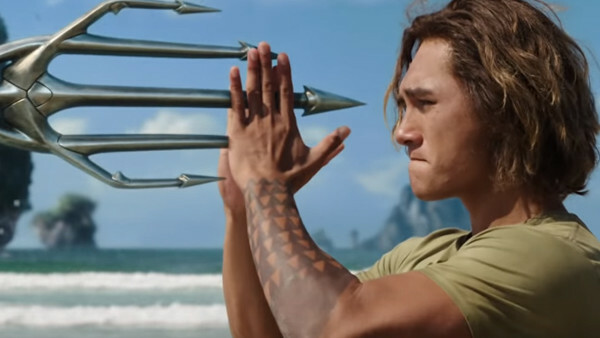 It's taken way too long, but we finally now have the first trailer for James Wan's Aquaman stand-alone, which could well be the second real saviour of the DCEU. If it's even to continue to be an ongoing concern for Warner Bros in the same way, that is. It's safe to say that the trailer - which debuted as part of Warner Bros' panel at Comic Con - landed with a splash. And it's quite stunning to note that reaction, given how cynical a lot of comic book movie fans were for so long about the idea of an Aquaman movie at all. After all, it's a hero who talks to fish and rides a giant sea horse: even Marvel would probably avoid that sort of material. But it definitely looks like it's going to shut up a lot of those vocal detractors. Sure, the trailer looks a little... sillier than we've come to expect of the DCEU, but that's not a bad thing, considering the huge issues with tone so far. Let's just hope the final movie delivers on the promise of this teaser. Looking at just the sheer number of characters (and apparently SPECIES) involved in trailer, it looks like Aquaman is going to be absolutely stuffed with story. Obviously we have the central conflict between Aquaman and Orm that will end in war, but then there's the pursuit of Arthur by Black Manta, his younger years, him coming back home to rediscover his true calling, and the introduction of all of the key supporting characters. It's hard to see how all of that can exist in a two hour movie and for there to be sufficient space for every element. 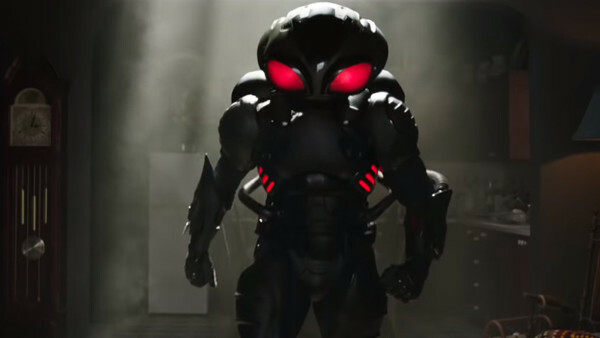 Which is perhaps why Black Manta ends up being so sparingly used in the trailer, when he surely deserves to be a key figure? There have, of course, been comic book movies that do manage to balance a lot of elements, but such bravery always inspires Spider-Man 3 style anxiety.